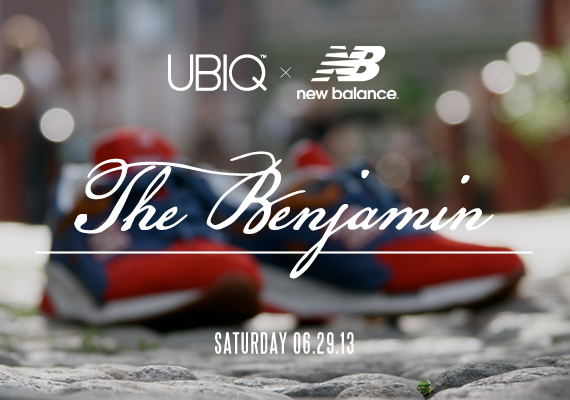 Inspired by Benjamin Franklin’s ole’ attire, Ubiq and New Balance set forth a special 1600 release for the Summer. The 1600 model sports a red, blue, brown and white colorway and even with the blur effect they’ve added for the teaser, you can still see the awesome job both teams did on this collaboration. The date for this release is June 29th so for those looking forward to another New Balance collaboration, these should be next on your list. Let us know if you’ll be scooping these up at the end of the month. FOR SURE,LOVE PHILADELPHIA WE HAVE BEST SHOP IN A WORLD ubiqlife LOVE THEM DUDES.GREAT COLLAB.